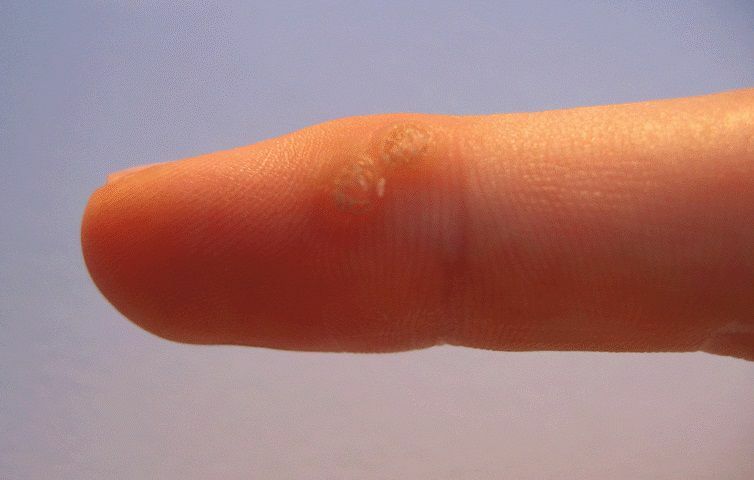 When you notice a wart on your finger, you might think of a few different things. You might be reminded of the old wives tale that handling a frog will give you warts. You might then think that as an adult, you haven’t handled a frog in a while. Then you might think that you’re worried about the length of time in which it’s been since you handled a frog when you should be worried about the fact that you have a wart on your hand. If you have a plantar wart on finger, you’ll need to know a few things. First and foremost, when a plantar wart on finger appears, it’s not referred to as a plantar wart on the finger. It’s a Palmer wart. The plantar wart and Palmer wart are the same thing; the only difference is the name, and the only reason they have a different name is that they are located on different body parts. Plantar warts are located on your foot, and Palmer warts are located on your hands. Both, however, are caused by the same thing; the human papillomavirus, or HPV. Before you panic, this is not the same strand of HPV that causes warts in more sensitive, private areas of the body. In fact, there are hundreds of strains of HPV, and the one that causes plantar and palmer wart is not very contagious through human to human contact. You cannot catch a palmer or plantar wart by touching feet or hands with an infected person. The strand of HPV that causes plantar and palmer warts is one that likes to thrive in warm, hot places. You’re more likely to catch this virus in pool areas, showers, and bathrooms. While you cannot catch it by touching someone with the virus, you can catch it if someone who has a Palmer wart touches something and transmits the virus, and then you touch it and catch the virus. Fortunately, as long as you keep all of your open sores and cuts covered with a bandaid at all times, you will not catch the virus even if you touch it. These warts are not anything you need to worry about regarding your health. The typically go away on their own and treatment is very often not required. If your wart bothers you regarding pain, however, you can speak with your doctor about different methods of removal or treatment. Because they tend to go away over time and because they are relatively painless, doctors often do not want to treat these warts. They will avoid it if possible, as many treatments are invasive and more painful than the actual wart itself. On your foot, a plantar wart looks like a puffy, fleshy piece of skin. The reason for this is that your body weight when walking pushes the wart into your foot. On your hand, however, these warts look more like warts. You can tell you have a plantar or palmer wart because they have a small black dot in the middle that looks to be about the size of a pinpoint. This is a clogged blood vessel in the wart. There is no need to worry about it in the least. The size of your wart shouldn’t grow any bigger than the eraser on a pencil, though depending on your infection, your warts might begin to grow in clusters. No matter how irritating or annoying it is to look at a wart on your hand, it’s in your best interest to simply leave it alone and let it go away on its own. Your immune system will work to suppress the wart, eventually causing it to go away. The only time you should worry and talk to your doctor is if you suffer from a disease or illness that suppresses your immune system. In this instance, your doctor might have a few suggestions as to how you can treat the wart to make it go away sooner. Be warned, however, that the treatment process will not work instantly.